RETIRED AMERICAN GIRL KIRSTEN PIN! PARTY FAVOR~GIFT BAG~STOCKING STUFFER!! 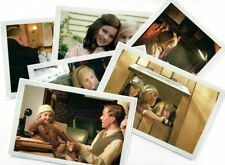 RETIRED AMERICAN GIRL POSTCARD SET! KIT MOVIE 2008! RUTHIE~TREEHOUSE~REPORTER! Kit and Ruthie - 2. Kit the reporter - 3. tree house. Photographs from the Kit Movie. Bel ow the picture is a short summary of Sa mantha'sdesire to teach Nelli e to read. Printed to introduce Nellie books. back - summary from "Nellie's Promise". SAMANTHA AND NELLIEBOOKMARK. ice cream parlor on one side - Samantha's bedroom with her doll and teddy bear on the other side. RETIRED AMERICAN GIRL MOLLY PIN! PARTY FAVOR~GIFT BAG~STOCKING STUFFER!! 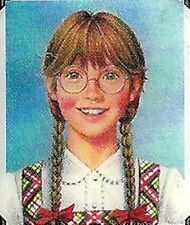 Pin features a picture of Molly in her plaid jumper and blouse. Retired Hallmark Collectible - 2003. RETIRED AMERICAN GIRL ADDY PIN! PARTY FAVOR~GIFT BAG~STOCKING STUFFER!! Retired Hallmark Collectible - 2003. RETIRED AMERICAN GIRL FELICITY PIN! PARTY FAVOR~GIFT BAG~STOCKING STUFFER!! 6X Clear Case Plastic Display. We will reply as soon as possible. (1 SET = 6 Boxes). Box Size : 56mm. (W x L x H). RETIRED AMERICAN GIRL SAMANTHA PIN! PARTY FAVOR~GIFT BAG~STOCKING STUFFER!! 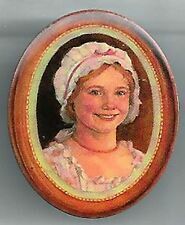 Pin features a picture of Samantha in her tea dress. Retired Hallmark Collectible - 2003. Bel ow the picture is a short summary of how Josefina learned to read from her Mama's book. Pin features a picture of Kirsten in her school outfit. Retired Hallmark Collectible - 2003. Kirsten - School Outfit. Molly - After School Outfit. Felicity - Cardinal Cloak. Five Original Historical Dolls in special outfits. Samantha - Middy Outfit and Tam. Introduced 1992 with first edition Molly Book Series. Introduced 1992 with first edition Samantha Book Series. RETIRED AMERICAN GIRL KAYA PIN! PARTY FAVOR~GIFT BAG~STOCKING STUFFER!! RETIRED AMERICAN GIRL JOSEFINA PIN! PARTY FAVOR~GIFT BAG~STOCKING STUFFER!! Pin features a picture of Josefina in her white camisa, gold earrings and garnet necklace. Retired Hallmark Collectible - 2003. PLEASANT COMPANY ADDY POSTCARDS! LOT OF FIVE RETIRED 1996! AMERICAN GIRL! 1 - Addy and one of her favorite books. 2 & 3 - Scenes from Addy Learns a Lesson. 4 & 5- Scenes from Addy's Surprise. Lot of Five. PLEASANT COMPANY MOLLY POSTCARDS! LOT OF FIVE RETIRED 1996! AMERICAN GIRL! 1 - Molly and one of her favorite books. 2 & 3 - Scenes from Molly's Surprise. 4 & 5 - Scenes from Molly Learns a Lesson. Lot of Five. PLEASANT COMPANY FELICITY POSTCARDS! LOT OF FIVE RETIRED 1996! AMERICAN GIRL! 1 - Felicity and one of her favorite books. 5 - Scene from Changes for Felicity. Lot of Five. Molly Trading Cards! Number 1 -58 Molly Story Cards. beautiful illustration from Molly's books on the front of the cards. A treasure for your Molly collection! Number 60 - list of cards. Complete Set! Addy Trading Cards! Number 1 -58 Addy Story Cards. beautiful illustration from Addy's books on the front of the cards. A treasure for your Addy collection! Number 60 - list of cards. Complete Set! PLEASANT COMPANY KIRSTEN POSTCARDS! LOT OF FIVE RETIRED 1996! AMERICAN GIRL! 1 - Kirsten and one of her favorite books. 3 - Scene from Kirsten Learns a Lesson. 5 - Scene from Changes for Kirsten. Lot of Five. RETIRED AMERICAN GIRL KIT PIN! PARTY FAVOR~GIFT BAG~STOCKING STUFFER!! Molly is shown in her after school outfit sitting in a chair reading from a book. Bel ow the picture is a short summary of how Molly enjoyed reading her Father's letters and books. MOLL Y BOOKMARK. This is for a group of 12 new woven Sinamay hats that are 8". so if you need more of this size or a smaller size. PLEASANT COMPANY SAMANTHA POSTCARDS! LOT OF FIVE RETIRED 1996! AMERICAN GIRL! 1 - Samantha and one of her favorite books. 3 - Scene from Samantha Learns a Lesson. 4 - Scene from Changes for Samantha. 5- Scene from Samantha's Surprise. Lot of Five. NOTE: picture shows a smaller size. [PF] 97# Dark Brown Long Wave Wig Knot 1/3 SD AOD DOD DZ BJD Dollfie 8-9"
A brand new wig for SD DZ AOD DOD LUTS 1/3 BJD dollfie. Condition: New and never used. Colour: As picture. 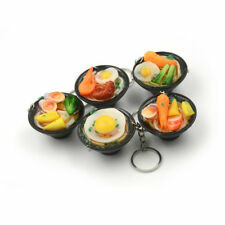 Size: Circumference of the head 20-23cm. Item includes: 1* long wig. Fits on a SD DZ AOD DOD LUTS (24"/60cm) 1/3 BJD dollfie Luts and other similar sized ball joint dolls. We also have the wig for (17"/44cm) 1/4 BJD dollfie Luts and other similar sized ball joint dolls. If you like please choice in my store. These are the perfect size to fit a Barbie doll. To US zip codes: FREE! Converse lace Martin Boots round SHOELACE MADE IN TAIWAN. LENGTH : 47"(120CM). COLOR choice:(Dark yellow/BROWN). Actual Pictures show below. New - books have been removed from original wrapping but have not been opened or written in, etc. Stencil to Decorate Your Book Pages. Felicity Trading Cards! 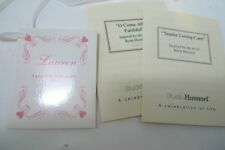 Number 1 -58 Felicity Story Cards. beautiful illustration from Felicity's books on the front of the cards. A treasure for your Felicity collection! Number 60 - list of cards. Basswood, Larch, Pine, Birch. Keruing, White Poplar, Beech, Cedar, Tola. Lauan, Ash, Elm, Fir, Maple, Padauk, Oak, Cherry. Use on wood, paper, cardboard, etc. Range: Wood: 0~99.9%. Wood Species Group Table. Doll Height: about 29cm. Style: Random Send (12Joint Body Head). 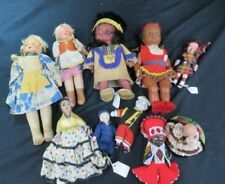 Cute Barbie Dolls, Great Gift and Handcraft Material,etc. New York Map Card showing places from Rebecca's books and current NYC landmarks reflecting Rebecca's history. Pictures from Original Book Series - Map of New York. They would be ideal for dressing all sorts of dolls and small teddy bears, as well as small pets if you're into dressing yours. New Greek Doll Pajama Bottoms, Item Number 116515. 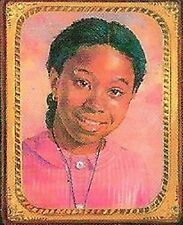 RETIRED AMERICAN GIRL KAYA BOOKPLATE! MEET OUTFIT! BOOK PLATE STICKER! 2003! Add a special touch to your Kaya book collection! This necklace was introduced in 1998 and was only sold for a couple years. If you open it up there are blank pages inside you can actually write on! Retired 2000! The necklace is in 'like new' condition. This enhanced version of the heel sleeve crystal clear, the size of the perfect match, the increase in wear-resistant anti-skid protection shoes and other purposes, the choice of dancers. Applicable shoes high heel. KIT STORY COLLECTION II. Contains Six Books. Kit Learns a Lesson. Changes for Kit. Kirsten Trading Cards! Number 1 -58 Kirsten Story Cards. beautiful illustration from Kirsten's books on the front of the cards. A treasure for your Kirsten collection! Number 60 - list of cards. Complete Set! SALE! AMERICAN GIRL DOLL 6 PIECE HOSPITAL GOWN SET! FITS MELODY~JULIE~MARYELLEN! (Doll pictured is not included.). 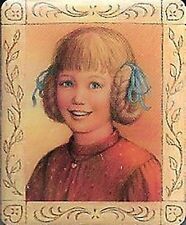 RETIRED AMERICAN GIRL ADDY BOOKPLATE! SCHOOL OUTFIT! BOOK PLATE STICKER! 2003! Add a special touch to your Addy book collection! RETIRED AMERICAN GIRL JOSEFINA BOOKPLATE~HERB GATHERING~BOOK PLATE STICKER 2003! Add a special touch to your Josefina book collection!